Over-the-Counter Hearing Aid Act is groundbreaking and bipartisan legislation. 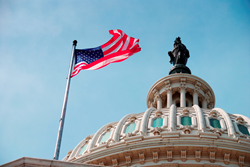 The Hearing and Speech Agency (HASA) has issued its statement on the Over-the-Counter Hearing Aid Act, passed through the U.S. Senate and U.S. House of Representatives, and its impact on the future of hearing health. The legislation was introduced by Senators Elizabeth Warren (D-MA) and Chuck Grassley (R-IA) and Representatives Joe Kennedy III (D-MA) and Marsha Blackburn (R-TN). "As advocates for those with communication challenges of all kinds, we are encouraged by greater dialogue around hearing health and the need for high safety standards,” said Erin Stauder, executive director of HASA. "We are ready to be part of the conversation and a resource to the FDA as these devices are being created." Approximately 37.5 million Americans experience some form of hearing loss – and 28.8 million more U.S. adults could benefit from using hearing aids. HASA plans to continue to engage policy makers and advocate for safe and proper hearing healthcare. “As an organization who fights for affordable, accessible and effective hearing healthcare, we applaud the possibilities for less costly hearing devices, open access to innovation, and the opening of a broader conversation about hearing health. It’s also good news that this legislation will require the Food and Drug Administration to regulate this new category of over-the-counter (OTC) hearing aids to ensure proper consumer labeling and high safety standards - just as they do for other medical devices. For further information about how the bill will impact the future of hearing health, visit: http://hasa.org/hearing-loss-and-aging. The Hearing and Speech Agency (HASA) is a non-profit organization that provides hearing, speech, and language services, offers an information resource center and advocates for people of all ages with communication challenges. Services include hearing tests, hearing aids, speech-language evaluations and therapy, occupational and physical therapy, special education, sign language interpreting, sign-language classes, Deaf awareness seminars, social work, and parent support groups. For more information, please visit http://www.hasa.org.